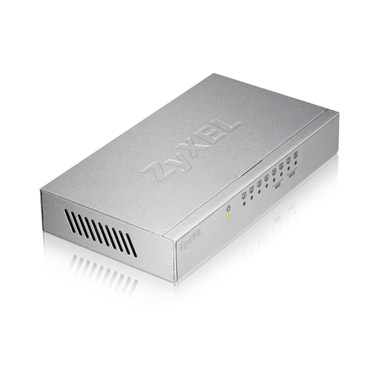 The ZyXEL GS-108B v3 8-Port Desktop Gigabit Ethernet Switch connects network devices and the home network at blazing Gigabit speed. The newly designed QoS ports guarantee smooth transfer for bandwidthintensive applications such as VoIP and data communications. The GS-108B v3 fits any environment. 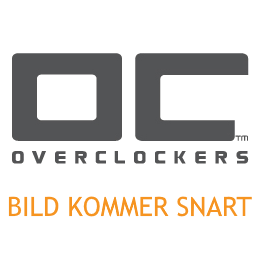 Regardless of desktop or wallmount installation, its sturdy, compact design provides more flexibility for wired home networks. Without any manual configuration, the GS-108B v3 can boost data transfer speed for connected network devices such as IP phones, network storages, PCs and laptops to the network at blazing-fast Gigabit speed. 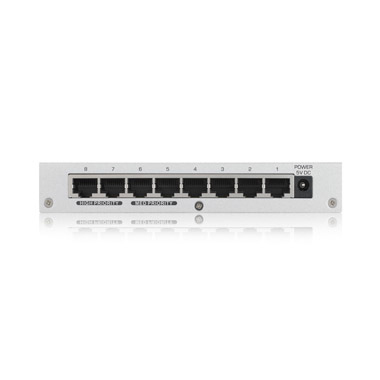 The GS-108B v3 has 4 QoS ports with an assigned high- and mediumpriority mechanism to enhance the stability of VoIP and data exchange. Just connect network devices such as IP phones, PCs, laptops or network storages to the high-priority or medium-priority ports of your choice, you can then enjoy smooth VoIP communication and data transfer at the same time. Compliant with the IEEE 802.3az Energy Efficient Ethernet standard, the GS-108B v3 provides power-saving benefits without compromising performance. The GS-108B v3 can automatically adjust power consumption according to the number of active, connected network devices and cable length; that is, it consumes less power if fewer network devices are connected and active, or when the length of Ethernet cable is shorter.